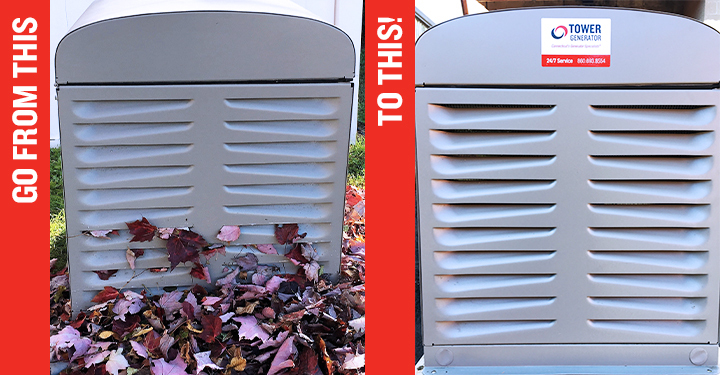 As part of your fall cleanup, you should clear the leaves and debris from around your generator. Leaves can build up and clog the air vents causing the genset to overheat. Many failures can be avoided by getting to know what your generator requires and how it functions. We recommend reviewing these items in your owner’s manual or with your service technician during your next scheduled maintenance visit.